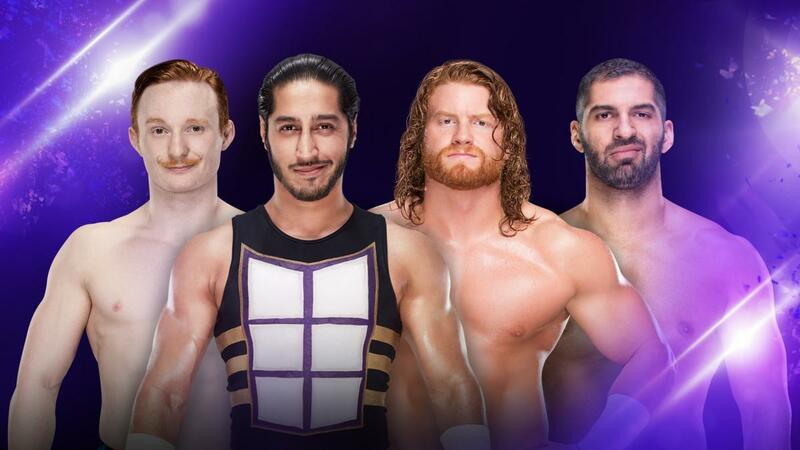 Seventh Cruiserweight Championship Tournament Opening Round match: Buddy Murphy VS Ariya Daivari; Murphy wins and advances to the next round. 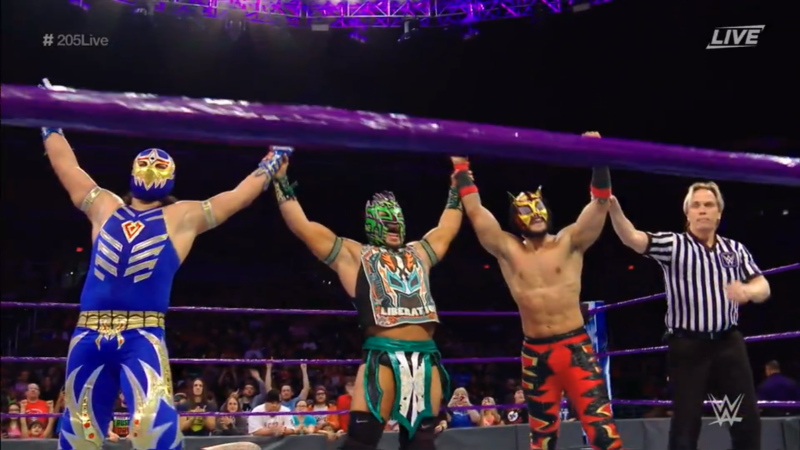 Gran Metalik & Lince Dorado w/ Kalisto VS Evan Daniels & Corazon Delgado; Metalik & Dorado win. 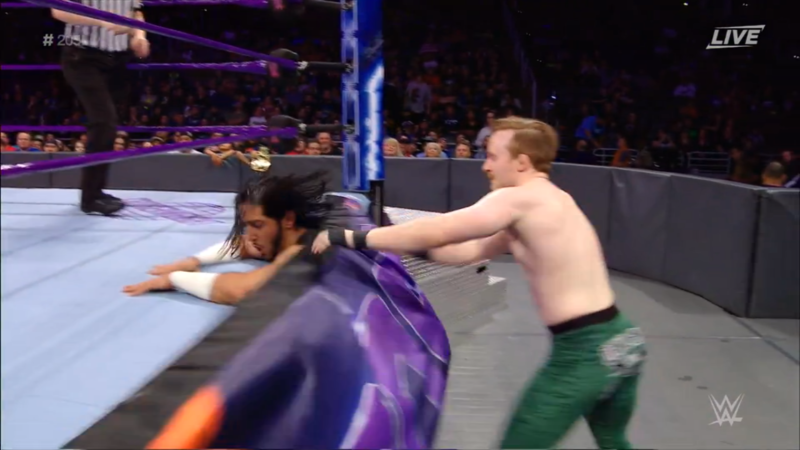 Eighth Cruiserweight Championship Tournament Opening Round match: Mustafa Ali VS Jack Gallagher; Ali wins and advances to the next round. 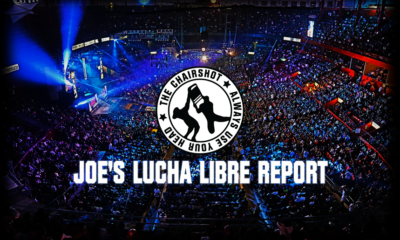 The Chairshot is Hiring Writers and Podcasters! Click here for more info. 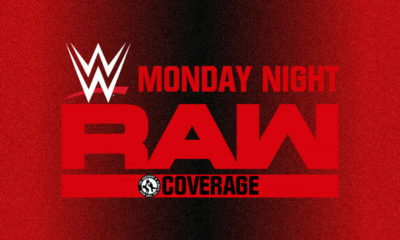 The WWE Cruiserweight Championship Tournament wraps up the first round! Drake Maverick was put in charge of 205 Live and he has not disappointed bringing us the Cruiserweight action the WWE Universe deserves! 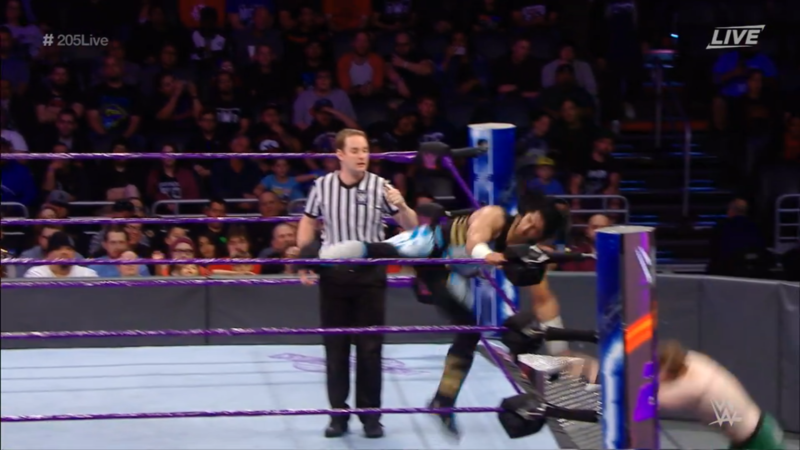 First, the Carolina Kid won to keep his Cruiserweight Championship aspirations alive while the “Cruiser-Great” kept his cool to also earn his place. Then, we got some major surprises as NXT’s Roderick Strong and the WWE UK Division’s Mark Andrews won to create crossover potential. And perhaps most shocking of all, Drew Gulak got down and dirty to decimate his friend in Tony Nese. With just two matches left before the quarter finals, what more surprises will 205 Live give us tonight? Seventh Cruiserweight Championship Tournament Opening Round match: Buddy Murphy VS Ariya Daivari! The Privileged Persian lives such a lavish lifestyle, even his titantron has a pool. However, his love of gold will have to outshine the determination and drive of NXT’s Best Kept Secret. Daivari doesn’t care how much weight Murphy lost, this isn’t Biggest Loser. 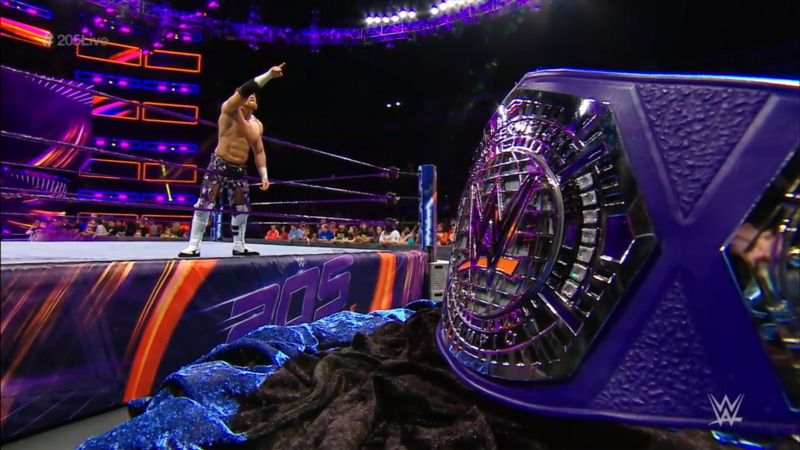 This is 205 Live, and “Buddy” will not steal Daivari’s Wrestlemania Moment of becoming champion. Which man will join six others in the quarterfinals of this incredible tournament? The bell rings, the two go right at each other, but it’s Daivari getting the headlock. Murphy powers out and knocks Daivari down with a solid shoulder. He brushes himself off, but Daivari gets another headlock. Murphy powers Daivari to a corner while fans chant for him, but the ref calls for a break. Murphy backs off, but Daivari kicks low. Daivari whips Murphy but Murphy runs him over with another shoulder. Murphy runs, Daivari drop and Murphy cartwheels over before telling him, “Shhh”, because Murphy’s a secret. Daivari swings but Murphy ducks under to then hit a flying headscissors! He sends Daivari out of the ring, then builds speed, to slide out and rock Daivari with a right hand. Murphy bumps Daivari off the apron and puts him in the ring, but Daivari slips back out to the apron. Murphy joins him, but Daivari shoves him away. Daivari kicks but Murphy blocks. Murphy scoops but Daivari slips out, to then grab some hair. Daivari pulls Murphy into the dragon sleeper, for an inverted DDT on the apron! Murphy slumps down while Daivari reenters the ring. The ref checks on Murphy, but he’s okay to continue. Daivari comes out, and body checks Murphy into steel steps! Daivari trash talks in Farsi while fans boo and jeer. They reenter the ring, Daivari covers, ONE! Daivari drags Murphy up and chops him back, then whips him hard into a corner. Murphy writhes, Daivari talks more trash. The fans boo and jeer while Daivari drags Murphy back up. He whips Murphy but Murphy reverses. Murphy runs in but Daivari hip tosses him into buckles! Murphy writhes again as Daivari covers, TWO. Daivari protests the count, but two is two. Daivari drags Murphy up to bend him back with a chinlock. The fans build to a rally while Daivari talks trash in Farsi again. Murphy finds new life as he works against the hold. He gets up to his feet and jawbreakers free. Daivari staggers back, but then storms over, Murphy catches him with a kick from the mat. Murphy gets himself to a corner and back on his feet. Daivari runs in but into Murphy’s boot. Murphy hops up and hits a big missile dropkick! The fans fire up for Murphy as he fires himself up. He rallies on Daivari, and hits a calf kick on the run! Murphy fires up again, as do the fans. He runs in but Daivari puts him on the apron. Murphy swing kicks and knocks Daivari down, then climbs up top. He takes aim at Daivari, but Daivari rolls out of the ring. Murphy changes plans, hopping down to build speed and FLY! He wipes out Daivari then puts him back in the ring before climbing up again. Flying double knees! TWO! 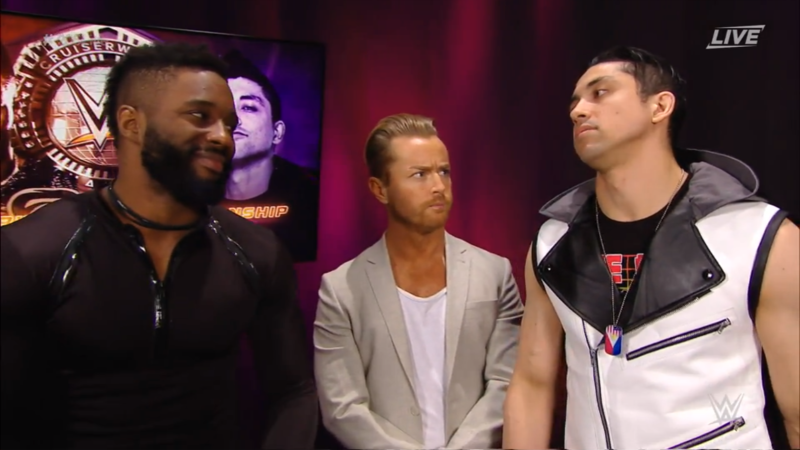 Murphy catches his breath while Daivari is still dazed. He stands up but Daivari yanks him out of the ring. Murphy returns, and Daivari rocks him with a rolling elbow! Daivari gets to a corner and climbs up top, to hit the Persian Lion Splash! TWO, and Daivari is shocked and frustrated by this newcomer from NXT. Daivari drags Murphy up while the fans cheer, “Let’s go, Buddy!” Daivari prepares the hammerlock lariat and shouts, “Secret’s out!” but Murphy ducks the lariat to roll Daivari up! TWO, SUPERKICK from Daivari! Hammerlock Lariat! Cover, TWO!! Now Daivari is really shocked about that one. He pleads with the referee that that was three. It wasn’t, so Daivari glares at Murphy. He drags Murphy up, back suplex but Murphy slips out. Murphy responds with a strike fest that is accentuated by a stomp on the toes and a knee to the head! He keeps going, getting Daivari in a pumphandle Death Valley Driver! Murphy wins! The Best Kept Secret IS out, and it’s a winner! And he already declares 205 Live as his Division! Can he make Melbourne proud with a Wrestlemania Moment in the form of first Cruiserweight Championship reign? 205 Live General Manager, Drake Maverick speaks. 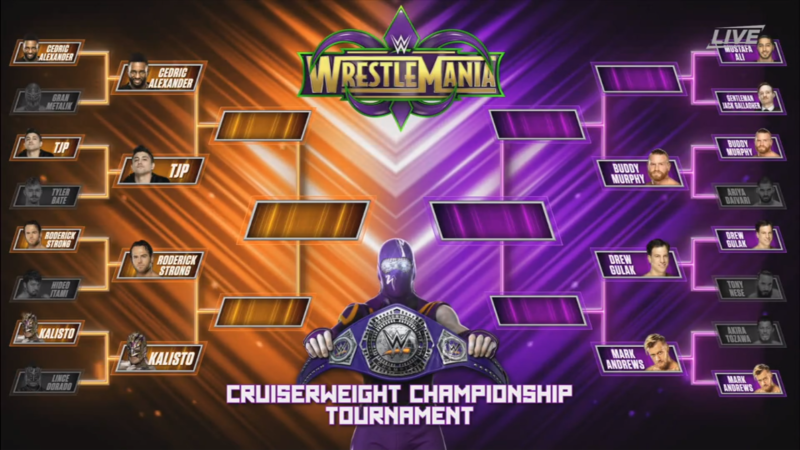 “As the first round of the WWE Cruiserweight Championship tournament comes to a close”, Rockstar Spud is proud to present to us the official brackets for the quarterfinals! The 16 best Cruiserweights came to compete for a chance at a championship match at Wrestlemania. And as it shows, Buddy Murphy will know his future opponent with the end of tonight’s main event. Will the Best Kept Secret have to contend with the Pakistani Prince of the Extraordinary Gentleman on the Road to Wrestlemania? In two weeks, we will see the Philly Fury, Drew Gulak, go up against the High-Fiving, Stage-Diving Mark Andrews for a dynamic clash of styles. But next week will be former Cruiserweight Champion, Kalisto, going up against NXT’s Messiah of the Backbreaker, Roderick Strong! Not only that, but next week will also have one of the tournament’s biggest match-ups in former #1 contender, Cedric Alexander VS Cruiserweight Classic winner, TJP! And speaking of, both TJP and Alexander appear. TJ lets Alexander know that, “in case you haven’t been paying attention for the last two years,” this is about the time Alexander falls short. Then Alexander will explain why he’ll never give up. That’s “cute”, TJ, but Alexander knows that all the “dirty tricks” he’s been using lately won’t save him. TJP is in his way and Alexander won’t let anyone stop him from reaching Wrestlemania. He won’t hesitate to put anyone in a back brace. TJP shrugs that off as he takes his leave, while Alexander grins with confidence. Which of these two high caliber talents will make it to the semifinals of this high caliber tournament? Gran Metalik & Lince Dorado w/ Kalisto VS Evan Daniels & Corazon Delgado! While no longer in the Cruiserweight Championship tournament, the King of the Ropes and Golden Lynx keep the #LuchaHouseParty going. 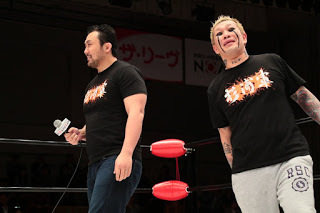 The Samurai of the Sun is also there to accompany his amigos while sending Roderick Strong a simple message for next week: “Speed kills.” Can this combination of lucha libre fighting spirit keep things rolling on the Road to Wrestlemania? The bell rings, and Lince starts against Daniels while the fans chant for “Lucha Libre!” Lince gets the takedown and then shifts to a headlock. Daniels powers out but Lince goes up and over to handspring and run. 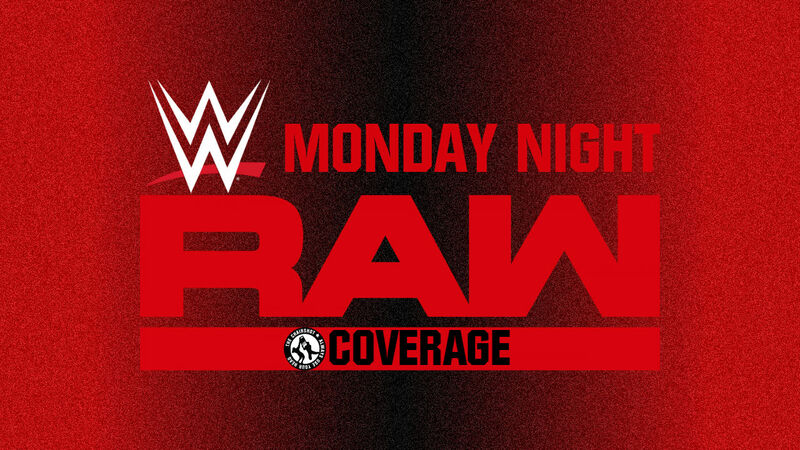 Lince slips under and arm-drags Daniels, then dropkicks Daniels down. Lince whips but Daniels reverses, so Lince headscissors Daniels around. Standing moonsault then an arm-lock, but Daniels gets up and rocks Lince with a forearm. 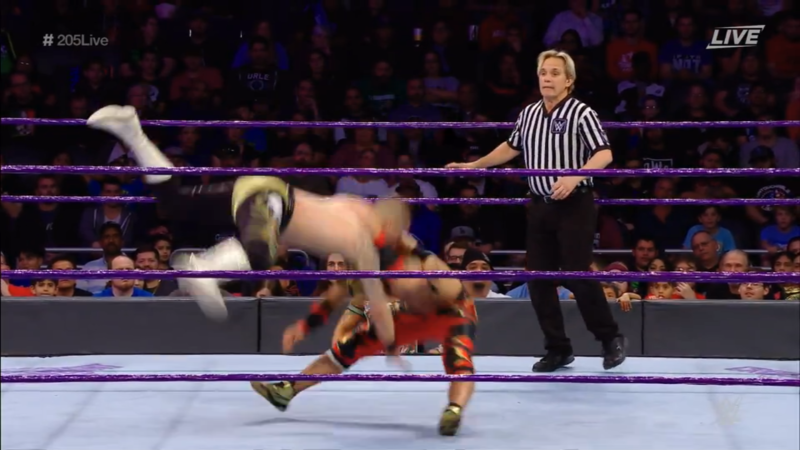 Daniels tags Delgado, but Lince sends him flying with a body drop! Lince chops Delgado then tags in Metalik, Lucha House Party double whips and double hip tosses Delgado down. 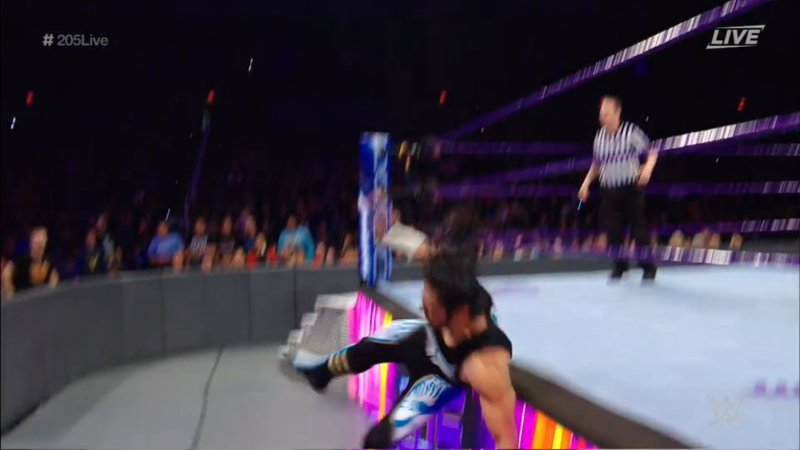 They kick vice Delgado, and Kalisto starts up the “Lucha! Lucha!” chant. Metalik whips but Delgado reverses, then narrowly avoids the handspring attack. Delgado runs but Metalik ducks under, and catches Delgado into a tilt-o-whirl facebuster! Metalik gets moving, walking the ropes in a corner to hit Delgado with a missile dropkick. Daniels distracts Metalik, Metalik swings at him but misses, Delgado knees Metalik low. Tag to Daniels, and Daniels keeps on Metalik with clubbing forearms. Daniels grins and mocks the “Lucha Lucha” chants. Metalik fights back with body shots, but Daniels rocks him with a forearm. Daniels runs, but into a dropkick! Both men crawl for their corners, hot tags to Delgado and Lince! 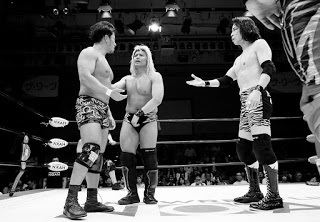 Lince rallies, running chop and a heel kick rock Delgado. Delgado swings but Lince blocks every strike to then catch Delgado into a swinging facebuster! Kalisto and the fans cheer on Lince as he runs corner to corner, but Delgado puts him on the apron. Delgado thrusts a shoulder but Lince counters it with a guillotine leg drop. Lince climbs up while Delgado staggers away, and leaps for the flying crossbody! Cover, but Daniels breaks it. He and Delgado double whip Lince, but he handsprings to hit a DOUBLE Dorado Rewind! Metalik returns, the “Lucha! Lucha!” starts up again, and Lucha House Party simultaneously DIVES and FLIES! 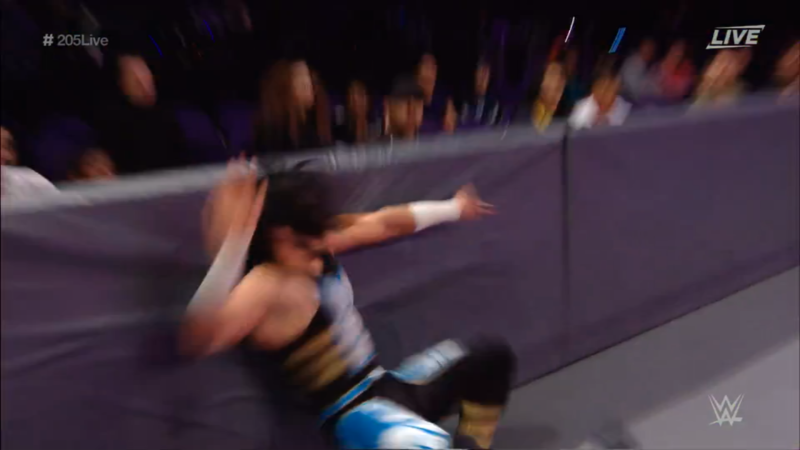 Lince hits Delgado and Metalik hits Daniels! The fans fire up while Metalik gets Delgado back into the ring and Lince climbs up. Lince takes aim as the fans chant “Lucha! Lucha!” Golden Shooting Star! The Lucha House Party wins! 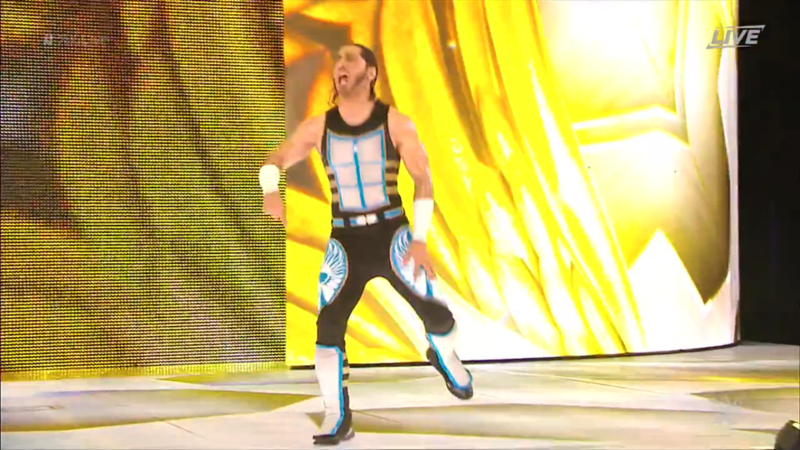 A formidable duo and even a trio, but will Kalisto be able to best the backbreaker machine known as Roderick Strong? 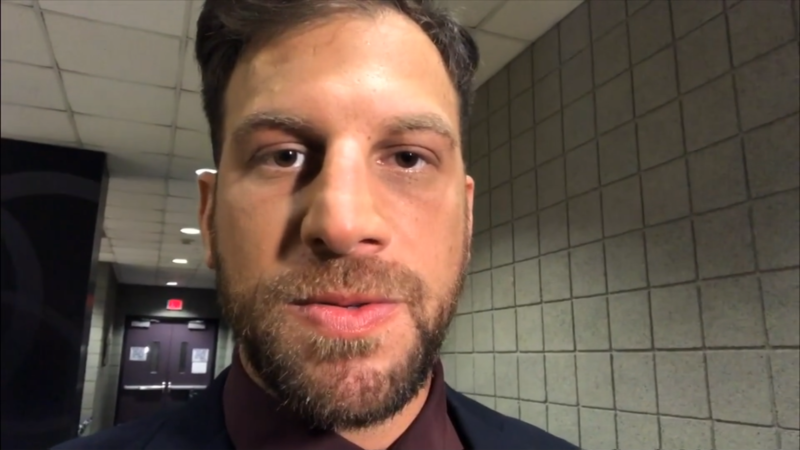 “People are saying that I went too far last week in my match against Tony Nese.” According to Gulak, winners can’t go “too far”, that’s just something losers say to make themselves feel better. As for Mark Andrews in two weeks, as good as Andrews is, he is just “flash and panache.” None of that will help Andrews when Gulak has him on the ground, forcing him to tap out. But Mark Andrews has a response. 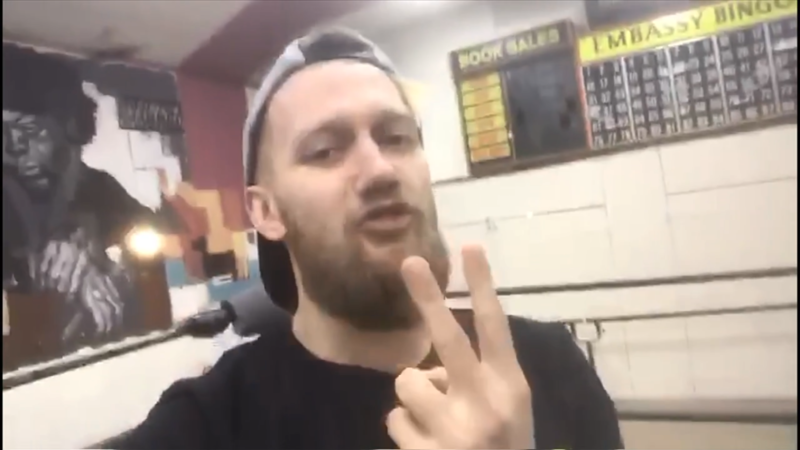 #Mandrews has made it to the second round of the Cruiserweight Championship tournament, and he’s psyched! 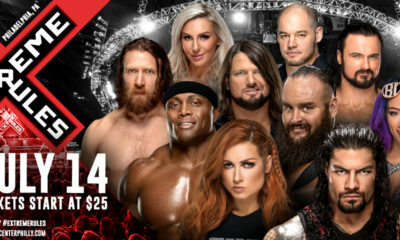 Well, psyched for everything except Gulak thinking he can make Andrews tap out. “Drew, you wanna try to put me in the No Fly Zone?” Andrews vows to fly straight to Wrestlemania to become the next Cruiserweight Champion. Both men have the utmost confidence in their own styles, which style will prove superior in two weeks time? 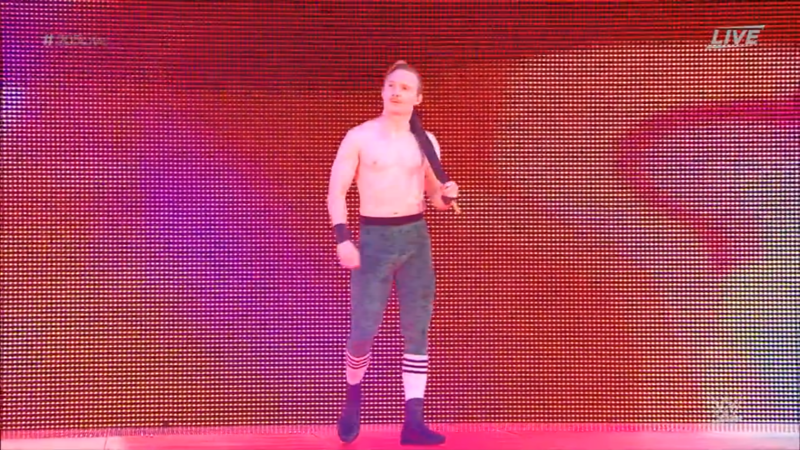 Eighth Cruiserweight Championship Tournament Opening Round match: Mustafa Ali VS Jack Gallagher! Per the orders of 205 Live GM, Rockstar Spud, the Ungentle Gentleman must return to appropriate wrestling attire. It may not be a pair of rainbow-striped tights but Gallagher has passed inspection. Will his new look and new edge help him edge out the motivated Mustafa? The bell rings and the two circle. They tie up, Gallagher powers Ali to the ropes. He lets go but makes sure Ali understands who he’s up against before backing off. They go again, Ali gets the wristlock. Gallagher works on a reversal, spinning around and lacing through to bring Ali to the mat. Gallagher tortures and bends that arm, but Ali gets to his feet. Ali reverses the hold to a hammerlock, then spins to a snapmare, but Gallagher slips right around to a hammerlock. Gallagher keeps Ali grounded as he cranks the arm. Ali stands up again, arm-drags Gallagher but Gallagher keeps hold of the hold. Buddy Murphy watches backstage because he wants to know first hand who he’ll face in the next round. Ali resists the hold but Gallagher keeps bending and twisting. Ali rolls and spins around to reverse, but Gallagher reverses again. Gallagher keeps up the torture into a hammerlock. Ali goes for a leg so Gallagher shifts to a headlock. Ali lifts but Gallagher holds on, so Ali powers out to ropes. Gallagher runs Ali over with a shoulder, then things speed up. Ali jumps but Gallagher catches him in a fireman’s carry for a facebuster drop back into the armbar. He wrenches the arm but Ali scrambles to ropes for the break. Gallagher lets go, then mockingly bows. Ali gets up while fans are a mix of cheers and jeers. Gallagher taunts Ali even more by offering him a free go at his arm. Ali goes for the head instead, and brings Gallagher down. Gallagher headscissors out but Ali goes for the headlock again. Ali wants the takeover but Gallagher blocks and back suplexes. Ali slips out, gets the headlock back but Gallagher still blocks the takeover. Gallagher gets a leg, Ali rolls to throw Gallagher off then runs. Ali ducks the chop to roll Gallagher into a Half Crab! Ali gives Gallagher a taste of his own submission game. Gallagher endures, working on a way out. He slips under to come around and kick Ali away. Ali grabs the other leg but Gallagher throws him with a twisting body scissors. Gallagher runs at Ali in the corner but Ali tosses him up, so Gallagher hits his Extraordinary Headstand. He waves to Ali, then hops down as Ali slides in. Ali runs out but Gallagher gets him in a waistlock. Ali bucks Gallagher off and things speed up again, Ali shows off his agility with a handspring to then wave back at Gallagher. Gallagher laughs it off before running in and grabbing a leg. Ali counters the takedown by sitting on him for a pin, TWO into a sunset cover, TWO. Ali high stacks but Gallagher rolls through to sit on it, TWO and now into Ali’s sunset. TWO, and Gallagher tries the high stack only for Ali to roll through and sit on it again! TWO, and the cycle is broken as Ali gets the jackknife cover, TWO! The fans applaud this fast and furious pin attempt exchange. Ali says he was close, but Gallagher doesn’t smile. Phoenix, AZ shows more appreciation by chanting, “We Love Wrestling!” Gallagher and Ali go again, Gallagher getting the front facelock but Ali powering him to a corner. The ref calls for a break but Gallagher turns it around instead. Ali turns it back around on Gallagher, then back around for Gallagher. The referee insists the break, but the break isn’t clean as Ali shoves Gallagher away. Gallagher shoves him back, then pie-faces him. Ali swings but Gallagher headbutts and knees Ali. Gallagher goes to kick but Ali blocks it and rocks Gallagher with a spinning heel kick. Gallagher rolls out of the ring, so Ali builds speed. Ali slides for dropkick but ends up in Gallagher’s apron skirt trap! Gallagher hammers away on Ali, even as the referee counts and reprimands him. The fans actually like his aggression, and cheer even as Gallagher backs off and reenters the ring. A ring count begins on Ali and Gallagher paces as he watches Ali get up. Ali reenters but Gallagher is right on him with a whip and back elbow. Cover, TWO, but Gallagher keeps his cool as he goes after Ali with a chinbar. The fans cheer for “Power Ranger” Ali, but Gallagher brings him up for a snap suplex. He adds elbow drops, then covers, TWO. Gallagher walks off his frustration, then drags Ali up. Ali fights back but gets a knee and headbutt to the ribs. Gallagher puts Ail in another corner for another headbutt, then yet another corner. Ali slips up and over to start rallying. He whips but Gallagher reverses, flapjack dropkick drops Gallagher. Ali fires up but Gallagher whips him. He kicks Gallagher away, then throws him with a headscissors. Ali brings Gallagher up again to whip to a corner but Gallagher again reverses. Gallagher runs in but Ali gets to the apron to roundhouse Gallagher in the corner. Ali fires up the fans before taking aim, and slingshots in for the facebuster! Gallagher’s down, so Ali climbs up. Gallagher grabs a foot but Ali kicks him down. Ali climbs up but Gallagher slips to the outside to rock him with a right hand. Gallagher climbs up now, preparing something dangerous. Ali resists, so Gallagher gives him a SUPER hotshot to the arm! Gallagher reenters and then throws Ali into a post hard! Ali falls to the floor but Gallagher does not stop. He puts Ali back in the ring, covers, TWO! The frustration grows but so does the cruelty as Gallagher puts Ali’s arm in a hammerlock and stomps on it. Gallagher keeps going, bringing Ali around into a modified Kimura lock! Ali rolls that to a cover, TWO! Gallagher keeps going after that arm, hammerlock and kick! He wants Ali to quit but when Ali doesn’t, he slams that arm on the mat. Gallagher keeps going, hammerlock scoop slam! Cover, TWO, and Gallagher glares. He puts Ali back in a hammerlock and again insists Ali quit. The fans chant “205! 205!” as Ali endures. Ali gets to his feet and runs to somewhat snapmare Gallagher out of the ring. Gallagher lands on his feet and gets up on the apron, but Ali baseball slides his feet out. Gallagher bumps off the apron and Ali builds speed! But that bad arm doesn’t support his weight, he crashes and burns out of the corkscrew! The referee checks on Ali while Gallagher gets in the ring. Another ring count begins, to Gallagher’s liking. Ali crawls but the count gets to 8. Ali beats the count by a second, but Gallagher is on him again. Gallagher gives Ali a European Uppercut then hoists Ali onto the top rope. Ali fights back with the good arm, and Gallagher stumbles back. Ali jumps for the flying crossbody! But Gallagher rolls through into the Fujiwara Armbar! Gallagher wants the ref to “Ask him!” but Ali endures. Ali gets up and rolls but Gallagher whips him to a corner. Gallagher runs in but into Ali’s back elbow! Ali hops up, flies, but back into the armbar! The fans are chanting on both sides as Ali endures the torture. He drags himself to ropes and gets the break with his legs. Gallagher feels the frustration, but Ali just tries to get feeling in the arm. Gallagher drags Ali up but Ali fights back. Ali bumps Gallagher off a buckle, then climbs up, but Gallagher is right on him and that bad arm! Gallagher wrenches that arm even though they’re on the top rope, but the referee says to bring it down. Ali knocks Gallagher down and away, then readjusts. But Gallagher runs back to Extraordinary Dropkick Ali down! Ali flies so far he hits the barriers! The referee again checks on Ali, but Gallagher embraces the cheers and jeers. Ali somehow manages to move, but Gallagher won’t leave him alone. He hammerlocks Ali’s arm and then throws him into more barriers! There is no mercy in Gallagher as he puts Ali in the ring. Gallagher grabs that bad arm, hammerlock scoop slam into buckles! Ali is limp as Gallagher drags him out for the cover. TWO!? Gallagher is furious, so he goes right for a cross armbreaker. Ali resists, hands clasped tight. Gallagher kicks Ali as he pulls on those hands. When Ali doesn’t let go, Gallagher shifts to sit Ali up and ram elbow after elbow into Ali’s head! Gallagher does not let up until Ali is limp again, cover, TWO!! Now it’s just exasperating for Gallagher that Ali’s survived this long. Gallagher drags Ali up and over to a corner to sit him backwards. He then climbs up to join Ali, and brings Ali all the way up, SUPER Back Suplex! But Ali lands on his feet! He staggers back, SUPERKICK to the back of Gallagher’s head! Then, Ali hits a leaping tornado DDT! Ali hurries to a corner and fans fire up while he climbs up. He takes aim, and hits the 0-5-4!! Ali wins!! All of that damage to his arm, and yet Ali did not give up. Phoenix and even Nigel McGuinness give him a standing ovation. Truly an inspiring performance for all those back home in Chicago. Ali may taste a bit of blood in his mouth, but will he taste gold on the Grandest Stage of Them All? 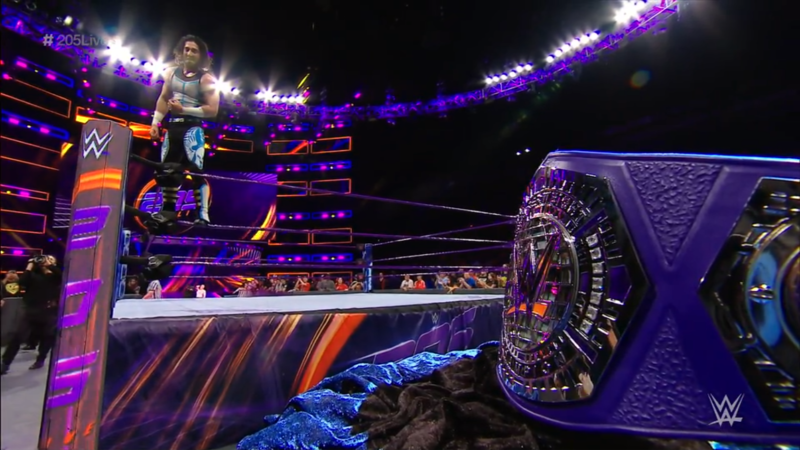 205 Live is on a hot streak thanks to this Cruiserweight Championship tournament. The only disappointment, at least for me, was learning the brackets were just taken from each of the past four episodes. 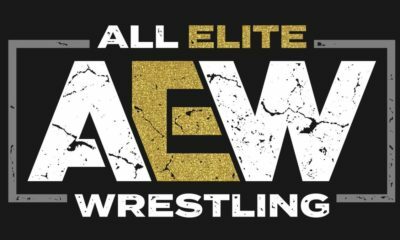 Alexander and TJP were in the first, Strong and Kalisto in the second, etc. until we get to tonight’s episode and the first match winner knows they’ll be facing the main event winner. This already breaks the bracket I had in my head where TJP and Alexander could potentially be a championship match at Wrestlemania. Instead, we get that match next week as just part of the quarterfinals. But my feelings aside, all four coming match-ups are still quality just on paper. TJP VS Alexander, Strong VS Kalisto, and Gulak VS Andrews will all be great for clashing styles and personalities. Buddy Murphy gave a great performance for his first televised match in months, especially in a new weight class. Obviously he was going to win, he wasn’t going to be in the tournament just to job. And now with him on the opposite side of the bracket as Alexander and Strong, I could see Murphy be the dark horse going to the finals (he is engaged to Alexa Bliss, after all). Gallagher VS Ali was an amazing main event and took the aggression that Gulak showed last week and kicked it up a notch by the end there. I almost though Gallagher had this, but then Ali surprises us with one last gas and moves on. 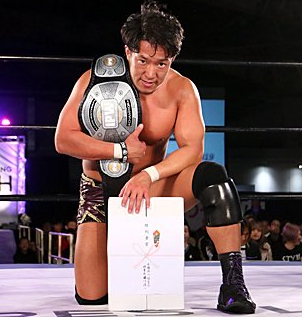 I feel it’d be a shame if he lost to Murphy, though, but it’s not like losing in the tournament will mean he never gets a Cruiserweight Championship shot in the future. At the same time, Ali VS Alexander has been a great match before and can be a truly Wrestlemania worthy one in the near future.